Modern art to update your home is a true fast fix and nothing permanent. 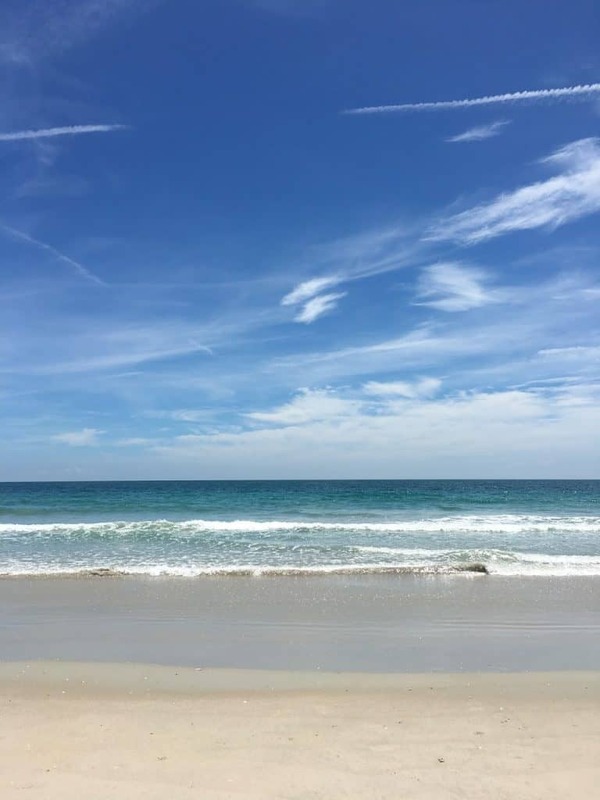 See what I selected for my beach home. I hope that you have been enjoying this holiday week so far friend! I’ve been enjoying relaxing for a change, which is really nice and not something normal for the deeply driven. 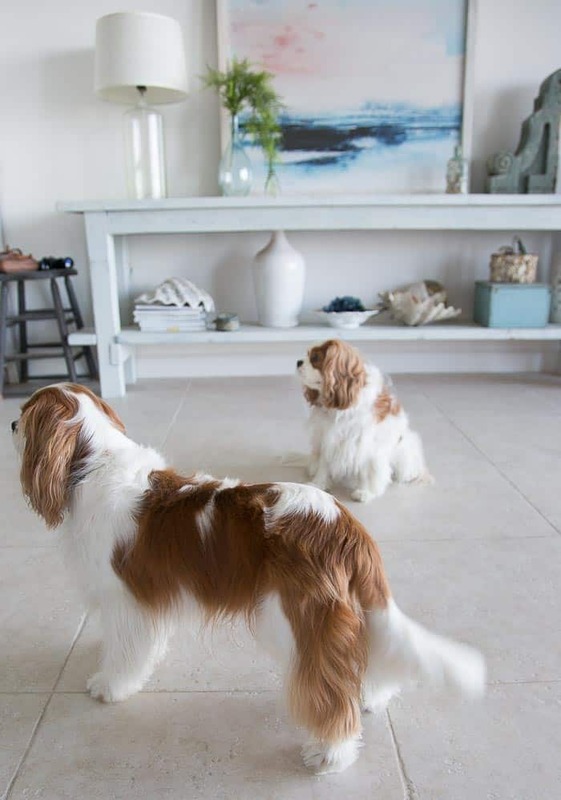 It’s great to be up at the beach home and just hang out enjoying some great east coast beach weather, good food, friends, the dogs and cocktails. Please mom and dad…we never want to leave this place, so can we just stay at the beach? Pretty much the size of it this week…and touches that do not compete with this view, shot via my iPhone. We don’t have a television in the living room because this view is the tv and in the darkest of night we simply watch some things on our laptops with Netflix or enjoy a great read. 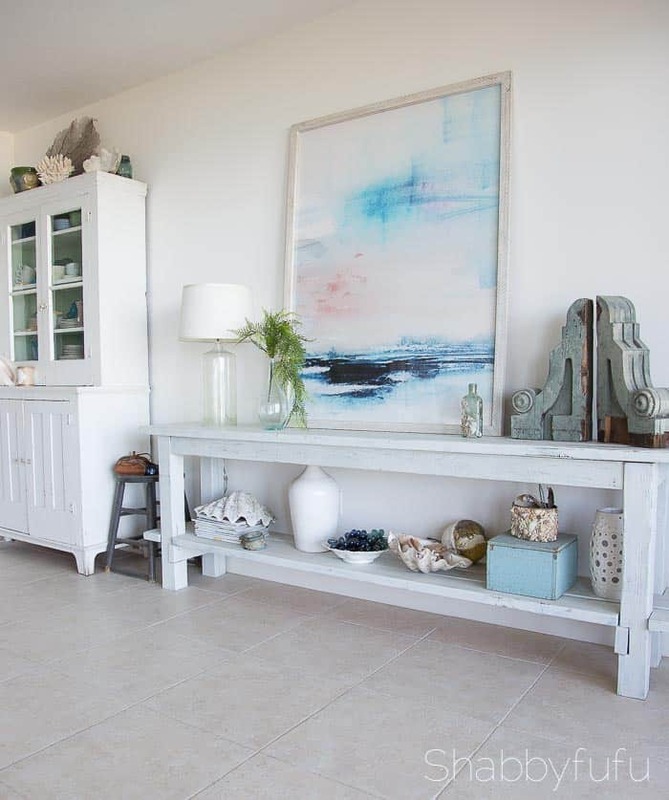 Artwork on the walls should add color or express personal style or favorite things, and that’s what we’ve thought about in giving our home a fresh look. With ARTWORK! My top tip for selecting artwork for your home? Color…and make it a color or colors that have been on your radar for a long time. Don’t let trends dictate your decor choices and you’ll never go wrong in the long run. When it comes to amazing artwork that could ace it around here, I knew that my friends at Minted would have some pieces that would suit what I had in mind. Modern art to update your home is easy to find there! Recently I designed a tablescape around The Breton Linens from Minted and you can see how lovely the linens are in THIS POST. If you aren’t familiar with Minted, they aren’t just a company that sells cards, rather a design marketplace that connects you to unique products from the world’s best emerging artists and helps you bring YOUR STYLE to your life and home too. 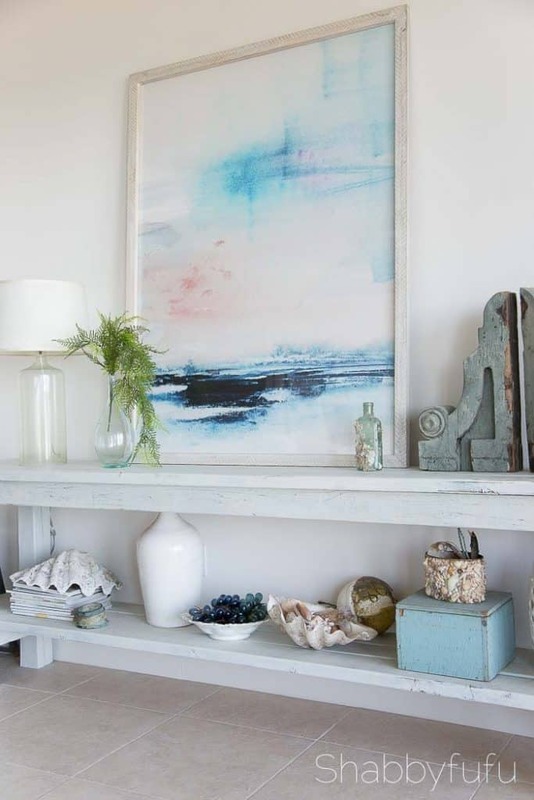 Minted offers their prints in a variety of sizes and frames, and I chose all of ours for the beach home to be large scale at 40″ by 54″. I would rather have a few large pieces than a whole bunch of small for what I feel is a cleaner look. I haven’t hung this one and have it propped on the table for now and love the way this looks! I just LOVE the colors on this one, so as I mentioned…I’m sticking with what I know and love colorwise, but updating with abstract. 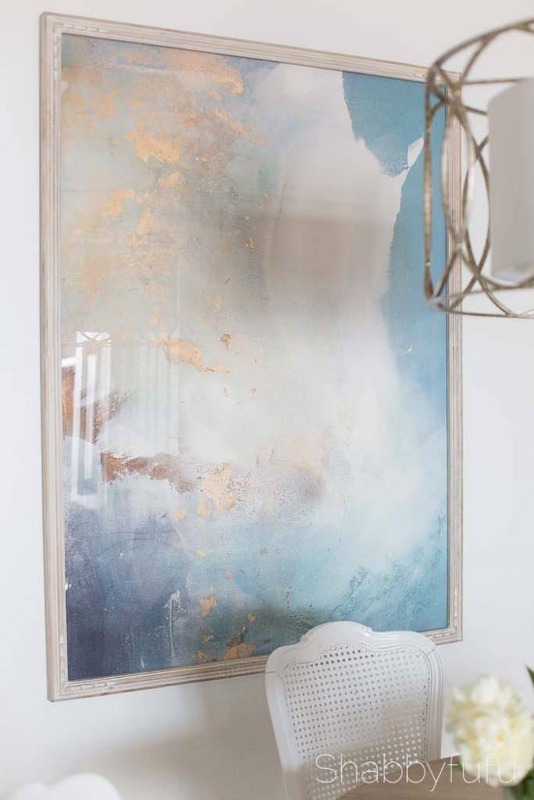 Mesmerized and even gobsmacked at this print and for the master bedroom at the beach I chose this in an oversized 40″ x 54″ as well with a matte COPPER frame. Minted offers high quality modern art to update your home, excellent printing and framing and you can also commission a unique piece from one of their independent artists. A win/win if you love unique artwork. 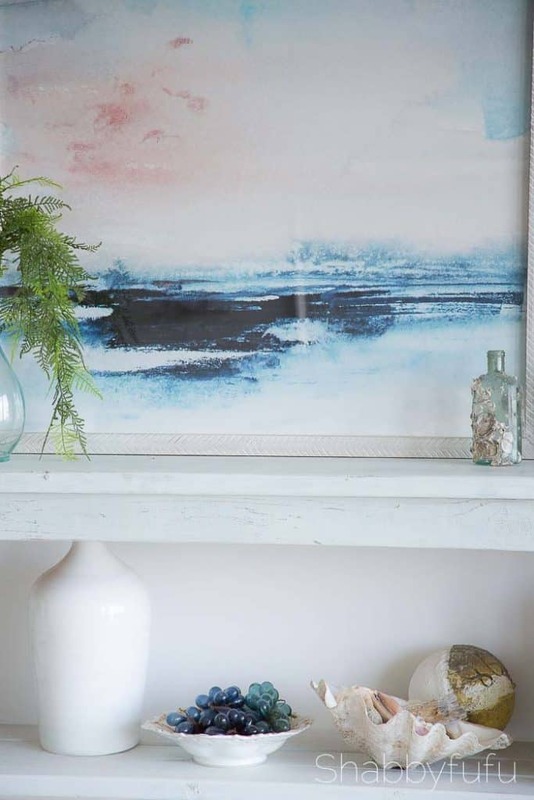 Excuse any glare while you glare at the MESMERIZED ART PRINT…and the brush strokes look so real with a palette knife effect. 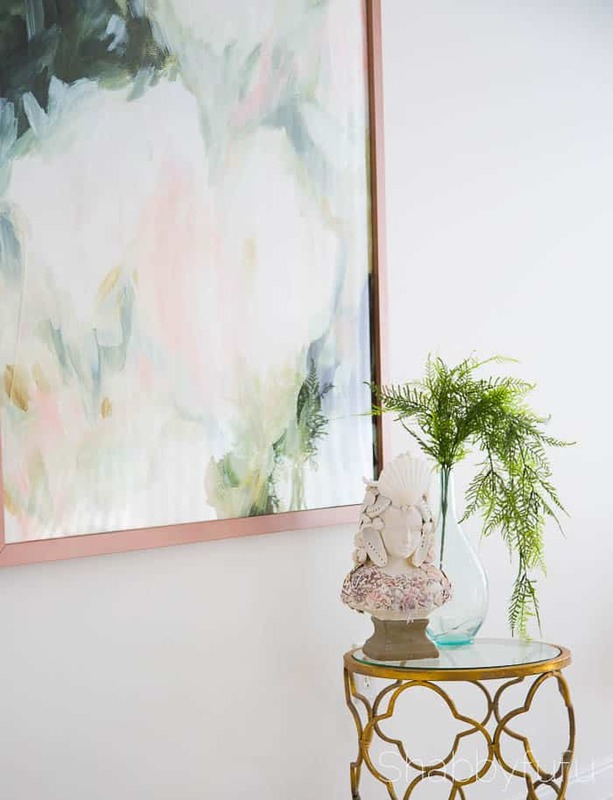 Keep in mind that the prints from Minted come in varied sizes, but one of my tips is to choose art that makes a statement and is oversized for less visual clutter. I’m looking forward to showing you the full reveal of our beach house bedroom soon in an upcoming post! Of the three pieces of ARTWORK that we received, this one is my family’s favorite and is showing itself off in our breakfast nook at the beach. 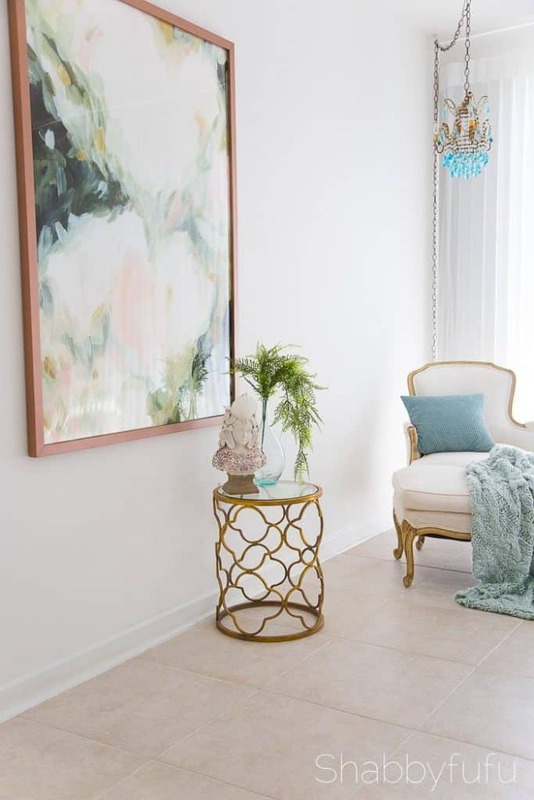 With all of the coastal blue tones it’s pretty perfect and the large patches and flecks of gold tie in metallic accents used throughout the home. 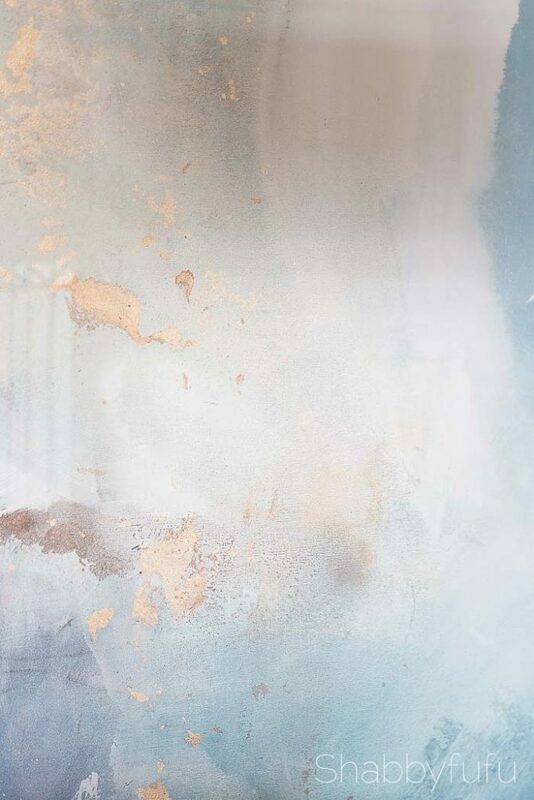 A close up detail of the canvas capture in the print entitled UNDERTOW and the frame that I chose is the Whitewashed French Farmhouse. So there you have it….three great prints that are coastal inspired in only a suggestive way. 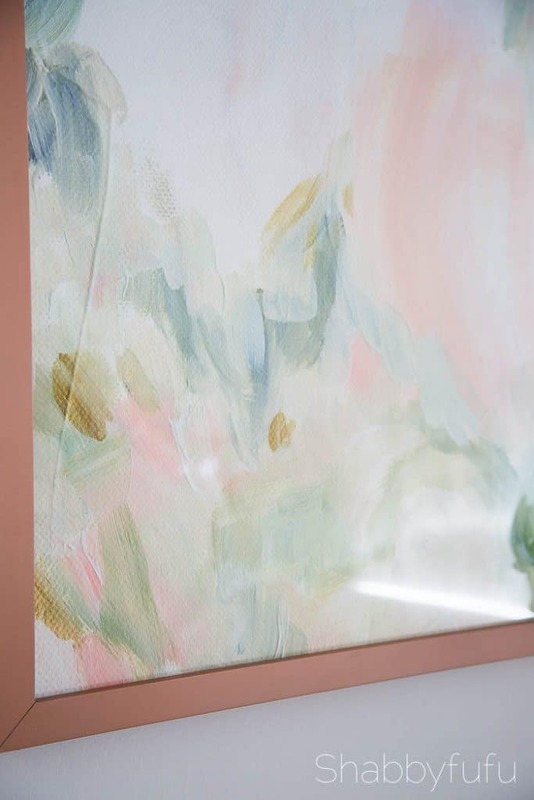 I hope that you have a chance to check out Minted and leave you with some tips on selecting artwork for your home. This may sound obvious…but really it’s not. Take your time selecting and buy what speaks to you and that you fall in LOVE with. Trust your instincts. Consider a contemporary piece for your home to give it a fresh new vibe, even if your style is traditional. You might be surprised at how great a change it can make. Go large or go home! Large artwork will give your room more visual space and can make a small space seem roomy. Artwork does not have to be an original painting and you can still choose to support the efforts of artist with authorized reproduction prints of quality. 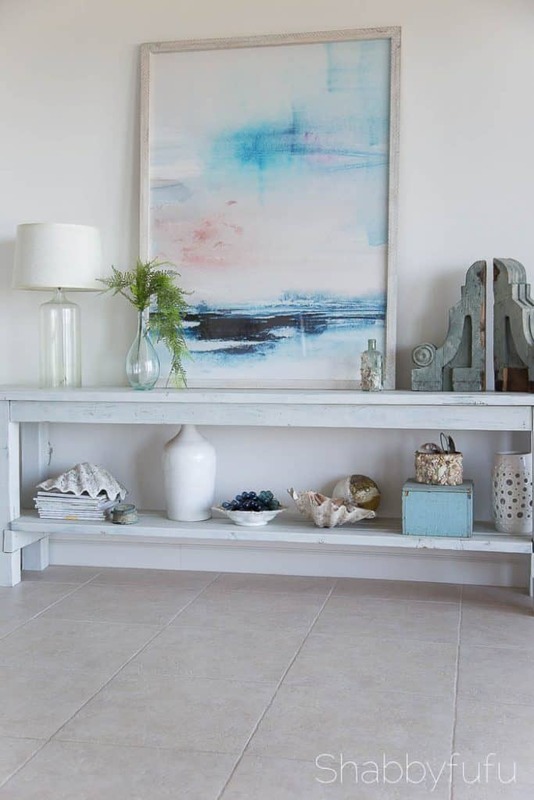 If you are unsure, Minted offers lots of modern art with styling services to check out and help you make a decision. Hi Janet! Love your sweet pups!!! They do look like they enjoy your beach house a lot. Love these oversized canvases! My parents always had one really large painting behind a sofa or chair. I may do something similar in our next home. Pinning to my Ethereal Artwork and Artists for you. 💕 I always pin wherever I am. Pinned from your Quick Updates post, too, but forgot to mention.